What’s the first thing that comes to mind when you think of Minnesota? Mall of America! (Okay, we admit, it might be the lakes, snow, or subzero temps, but MOA is up there on the list.) 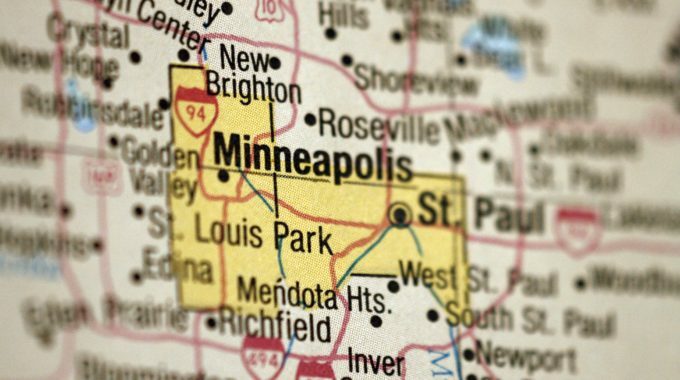 To be sure, a lot of visitors come to Minnesota to hit the MOA with its more than 520 shops, 50 different restaurants and activities galore. If there is one thing you will find at the MOA it’s that you have options. And if you like to swing the sticks, there are also plenty of great golf options within easy driving range of the Mall. Admit it, you can’t spend all your time in the Mall of America running from shop to shop. So, why not take a little time at one the great golf courses in close proximity and spend some time walking from shot to shot. Check out these great options for golf all less than 25 miles from the MOA. The nearest course to the MOA is Braemar Golf Club in Edina, which is located just 8.5 miles from the sprawling Mall. If you are looking for a quick nine holes (before heading back for more shopping), Braemar’s recently renovated Academy 9 part three course provides a great opportunity. If you will be touring the MOA next Spring, the 18-hole course at Braemar will open after a major renovation. Architect Richard Mandell handled both projects, and the opening of the 18-hole course, which is set among 500 acres of rolling hills and scenic lakes surrounded by beautiful, untouched oak ridges, is highly anticipated. If you have a little more time, make the drive to Chaska Town Course (located 22 miles west of the Mall) on the western suburbs of the Twin Cities in Chaska. This bucolic beauty among oak groves, open prairie, and picturesque wetlands will be ablaze in fall colors and is sure to ease your mind from the fiscal frenzy of the Mall of America. CTC’s gorgeous setting features a very playable and challenging course that will provide golf memories you’ll want to revisit again — on your next shopping trip to Minnesota. The Mall of America is located in Bloomington and one of that suburb’s nearest neighbors is Prior Lake, which is home to two wonderful courses guaranteed to make your Mall trip extra special. The Legends Club is located just 18 miles from the MOA and provides the perfect respite from the maddening crowds of the Mall. Legends Club is nestled amongst an expansive natural setting and features a 30-acre lake, cascading creeks, scenic wetlands, deep ponds, and dramatic topography. Still jazzed from all the indoor excitement of Nickelodeon Universe? The Wilds Golf Club just 20 miles away in Prior Lake is the place for you. With extensive elevation changes and extraordinary vistas, The Wilds golf club is an exciting thrill ride of a golf experience that will rival the twists and turns of anything Sponge Bob Square Pants has in store at the MOA. I recently teed it up Stonebrooke Golf Club in Shakopee (20 miles from the MOA), and found one of the most unique golf experiences in the state. The day provided perfect Minnesota fall weather, and the course conditions (like any you find in the state this time of the year) were unsurpassed. When I reached the short par 3, 7th, nestled on the beautiful shore of Lake O’Dowd, I clubbed up for the breeze coming in off the water, and when it hit my ball in flight it narrowly saved it from a watery grave. Excited, I hit a perfect drive on the next tee over the lake to the center of the fairway, and got to contemplate the blissful afternoon on a short ferry ride across Lake O’Dowd, chatting with the friendly ferry boat driver. (I bogeyed both holes, but that is beside the point.) This experience is unique to anywhere in Minnesota golf and can be yours on your next trip to the MOA. Finally, if it is more golf exploration that you are seeking, then Willingers Golf Club in Northfield and Ridges at Sand Creek in Jordan are each just 32 highway-miles away. The two courses provide some of the best local golf challenge and course amenities in the state and are well worth the short drive further. And if you still haven’t had enough by the time you head back out of town, remember that there are simulators available at our airport at PGA MSP. After all, it is always good to have options.